Many, many years ago a group of treasure hunters uncover the booty of a German cowboy which, instead of riches, contains a rock that summons Krampus. On releasing him they all meet their deaths and the rock is lost in a river only to be discovered decades later by a small boy panning for gold with his father and uncle. 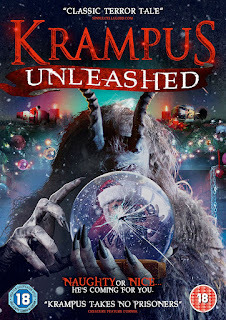 Visiting family for the holidays the boy brings the rock back to his Grandparents and his lazy obnoxious cousin manages to free Krampus once again and death befalls all those around him. I don’t really know where to start with this, I’m afraid to report that there are few good things to say about this movie. 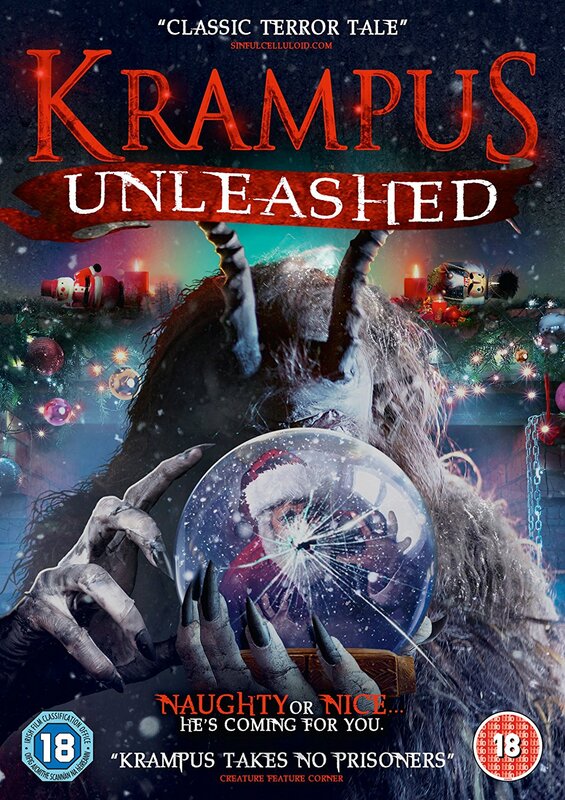 I was always led to believe that Krampus was linked into festive folk lore way more than this movie shows, it seems here that Christmas was more of an after thought. Okay so I admit it’s hard to bring that festive vibe to a desert setting but a few puny trees and the odd mention of the holidays doesn’t really cut it. The script is poor with some of the actors doing some really hammy over acting and the rest of the cast hardly even bothering. The best of the lot was probably the little boy, Tommy (which is high praise coming from someone who isn’t a fan of child actors); the fact that he looses pretty much his entire family is irrelevant as you just don’t care for any of them. The soundtrack was a bit all over the place and did not enhance the movie in the slightest. Festive tune wise the only number that sticks in my head was the horrendous big band jazz version of “Let It Snow” at the start which was so tuneless I very nearly switched the movie off before it had even begun. Its one saving grace (and the reason it scores 2 stars) is the gore which is well done and a lot of fun. Frequent Krampus attacks mean plenty of maiming, decapitations and disembowelling which brings some giggles to an otherwise dreary movie. Krampus himself is kind of okay in a “man-in-a-giant-blue-goat-costume” way, he’s quite clumsy moving about but could be considered quite fearsome from a distance. At least they don’t fall back on bad CGI and stick to effective practical effects and puppetry. Quite a bit of shaky camera work and some awful set work does not help either. Don’t even get me started on the ending which hints at a sequel involving Baby Krampus (!!). I’m hoping it is just a hoax.